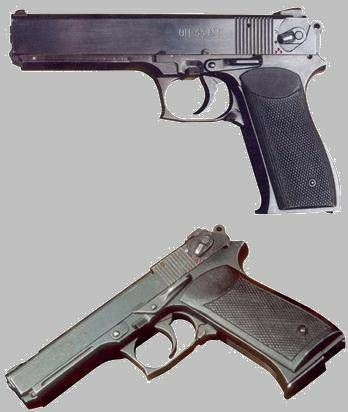 It is a AP SBZ too, but a OTs 33 “Pernach”, a bigger and slightly different machine pistol of 9x18 Makarov calibre. This can be verified in the pertaining sources, like A. B. Zhuk’s “Entsiklopediya Strelkovogo Oryzhiya”, pp. 449, 454, 456-7, and in “The New World of Russian Small Arms & Ammo”, by C. Cutshaw (page 68 –wrong drawing, too, for the frequently mistaked Drotik--, and page 69 for the Pernach).